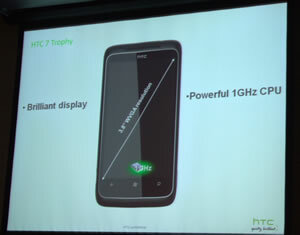 Tonight HTC came along to tell us about their range of smart phones running Windows mobile 7 and Android. 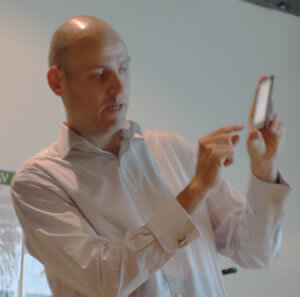 Richard showed us the three main smart phones on the market in Australia; the Mozart, the Trophy and the HD Desire. 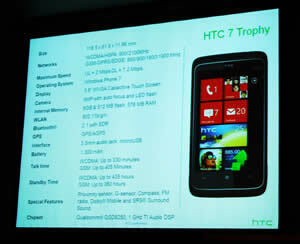 HTC were the first company to market the Windows platform phone and the association continues with Windows Mobile 7. 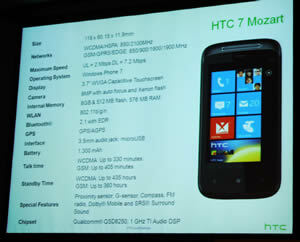 Every Windows 7 phone must have a 1 gig processor, a 5 mega pixel camera, a four point multi-touch screen and dedicated hardware buttons such as start, back, search, power, camera and volume. and an 8 mega pixel camera with a Xenon flash. 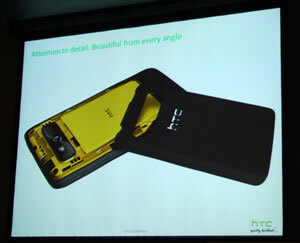 HTC has paid attention to the whole design processes, even the inside looks good. 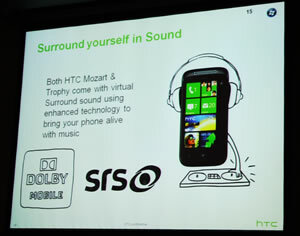 HTC comes with Microsoft’s Zune software to upload and manage all your music and videos. 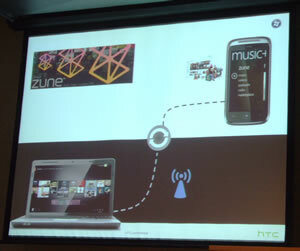 Find out more about Zune here. Both the Mozart and the Trophy come with Dolby sound to enhance your listening pleasure. 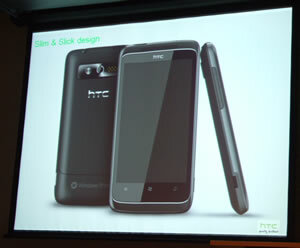 The HTC Desire runs on Google’s Android operating system. 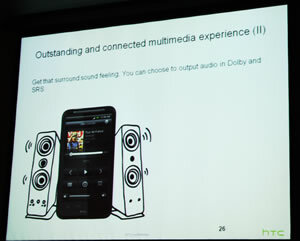 The Desire has a 4.3 inch screen and Dolby surround sound. 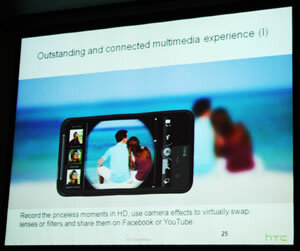 All of these things add to the media experience you can create with the 8 mega pixel high definition movie camera. 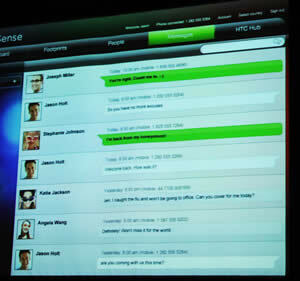 Once you have your movie, you can share it with family and friends, not just by phone but through your TV. 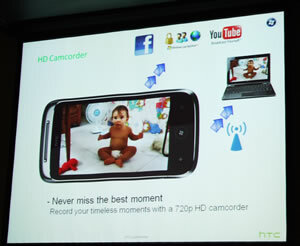 The Desire has a DLNA connection allowing direct connection to your TV. It comes with built in maps. 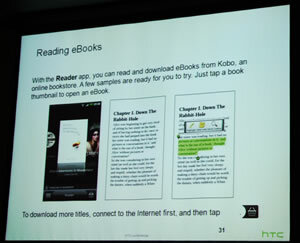 and even an e-book reader application. 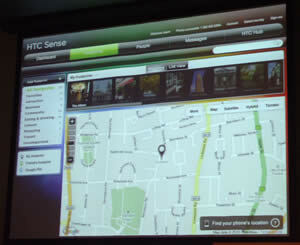 If for no other reason, you should consider HTCSense for its safety features. Lost your phone down the back of the lounge? 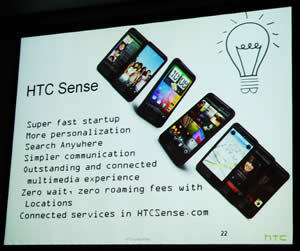 HTCSense allows you to ring your phone at full volume to locate it. Lost it on the train? 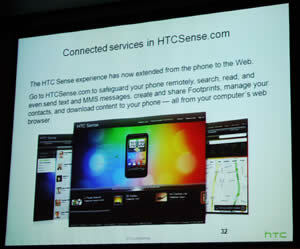 Using HTCSense you can immediately lock the phone and if you have sensitive information on it you can erase all the data. 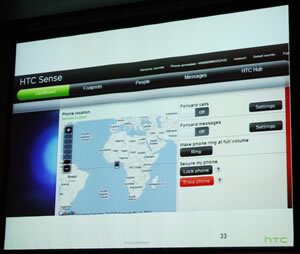 Another feature of HTCSense is footprints. This allows you to locate your travel photos on a Google map. 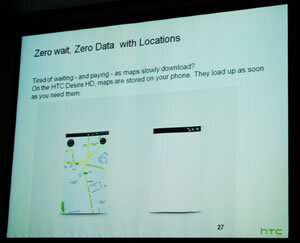 You can then mail the map to friends so they can know exactly where you are. 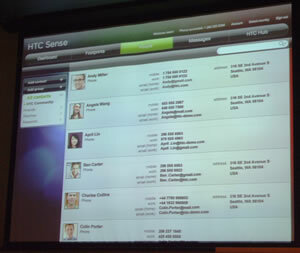 Of all the features of HTCSense the most useful was the contact management. 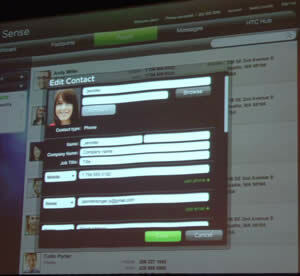 You can upload your contacts and edit them online. 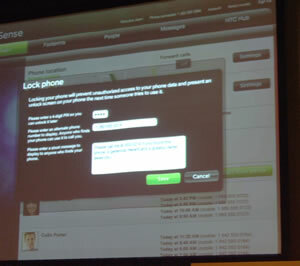 You can use it as a backup and as message central for all your SMS or MMS messages. These phones are available through exclusive deals with the major phone companies. 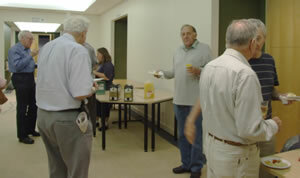 After the break, the committee organised a small feast for the end of year. 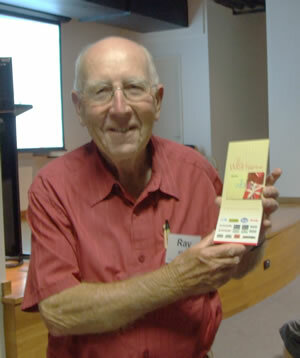 Sydney PC User Group Inc. © 2008 Last updated: Tue. 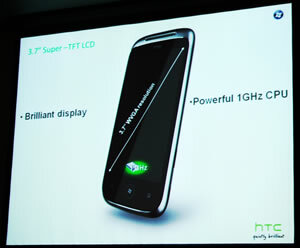 8 Feb. 2011.